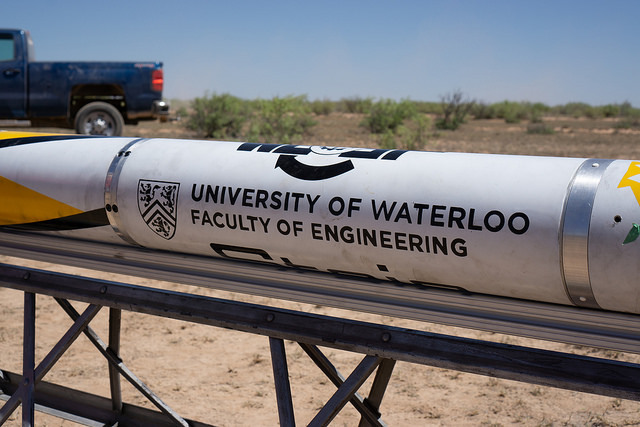 Waterloo Rocketry is a student design team composed primarily of undergraduate students at the University of Waterloo in Waterloo, Ontario. We currently have around 20 members from a variety of engineering disciplines. 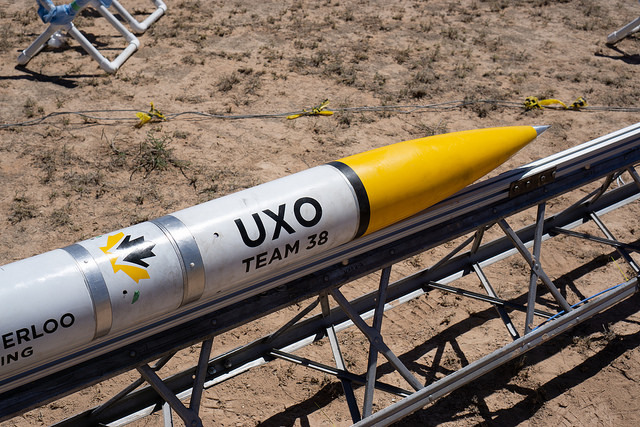 We design, build, and launch rockets to a target altitude of 10,000' at the Intercollegiate Rocket Engineering Competition each June at Spaceport America, New Mexico. It is our mission to excel through innovative design, disciplined engineering, and precision fabrication. 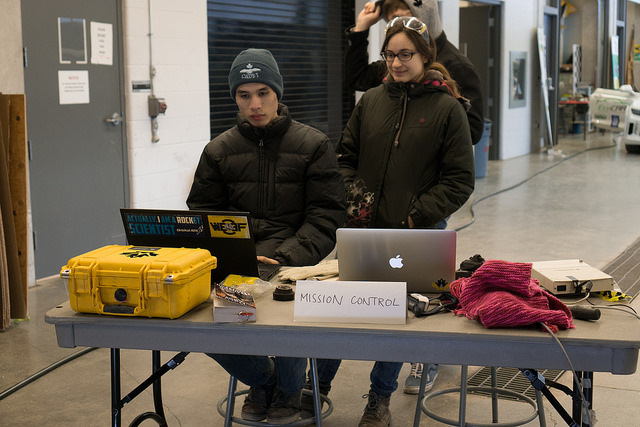 We are dedicated to learning aerospace engineering in a competitive hands-on environment through the Intercollegiate Rocket Engineering Competition. Our team is open to all, with no experience required to join. To get involved, please join our Facebook group. Feel free to drop by our bay (Engineering 5 1008) for more information, or shoot us an email at contact@waterloorocketry.com. Take a look at what we've worked on in the past. We are grateful to our sponsors. Please take a look at who they are. A picture is worth a thousand words. Learn more about us through our photos.